Daily Goals - Track. Analyze. Succeed. 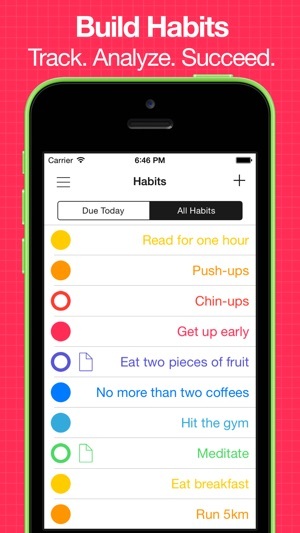 An ultra simple and colourful app that helps you keep track of your habits. - Create and track unlimited habits. 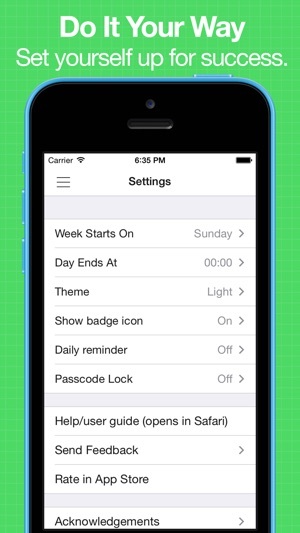 - Configure the name, colour, start & end dates, reminder time and schedule for each habit. - Schedule habits to repeat on specific days of the week or weekly (eg 3 times per week). - Add notes to habits to further document your progress. 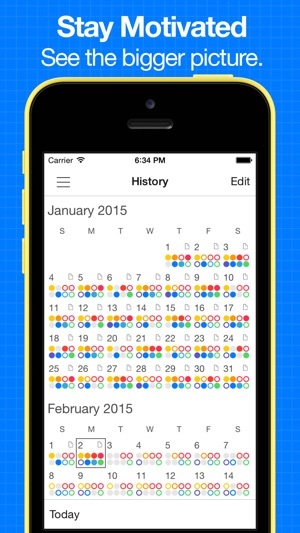 - Get simple, colourful feedback on your progress by plotting habits of your choice on the history calendar. - Up to 8 habits can be plotted simultaneously letting you see the big picture. 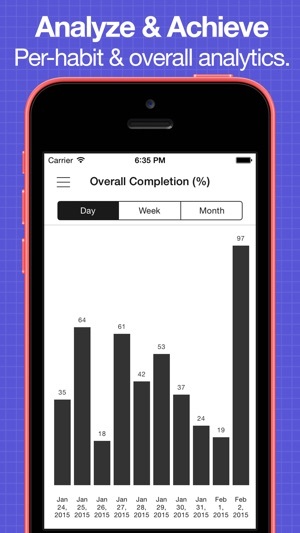 + % completion by day/week/month. Daily Goals is regularly updated and improved based on user feedback. 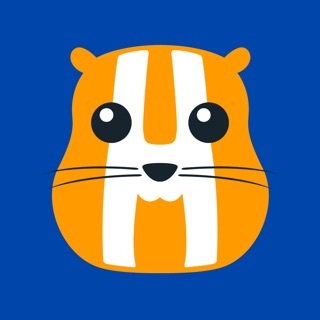 Use the email link in the app to get in touch with suggestions. A small number of users have reported crashes on startup. In the event that this update doesn't fix the issue, please get in touch with me at apps@cascodelabs.com so I can investigate further. I absolutely love the appearance and ease of tracking things on this app. I very much appreciate being able to see the entire month (more actually) at a time, and being able to clearly see the 8 things I am tracking and which days they occurred, all in one screen. I started to use Daily Goals several months ago. The app’s elegant, attractive, and powerful interface made it easy to use immediately. The simple idea — setting goals and tracking practice — matches what neuropsychology tells us is effective at building healthy habits. In my case (trying to improve habits around exercise and meditation), using the app had immediate effect, almost doubling the rate at which I accomplished my goals. Thank you, Cascode Labs, for helping me improving my quality of life! Sticker chart for grown ups! Exactly what I was looking for. Simple, color-coded tracker for daily goals. 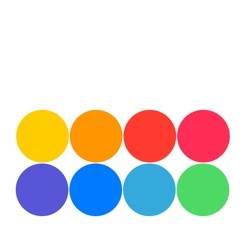 Very clean and intuitive interface and the colored daily dots actually feel like a reward. Lots of ways to view your progress and organize your daily goals (you can set a goal for x times a week, only for certain days, skip, add comments, etc.) If you want to go beyond the goal fulfillment analysis the app provides, you can export to excel and parse the data any way you choose.